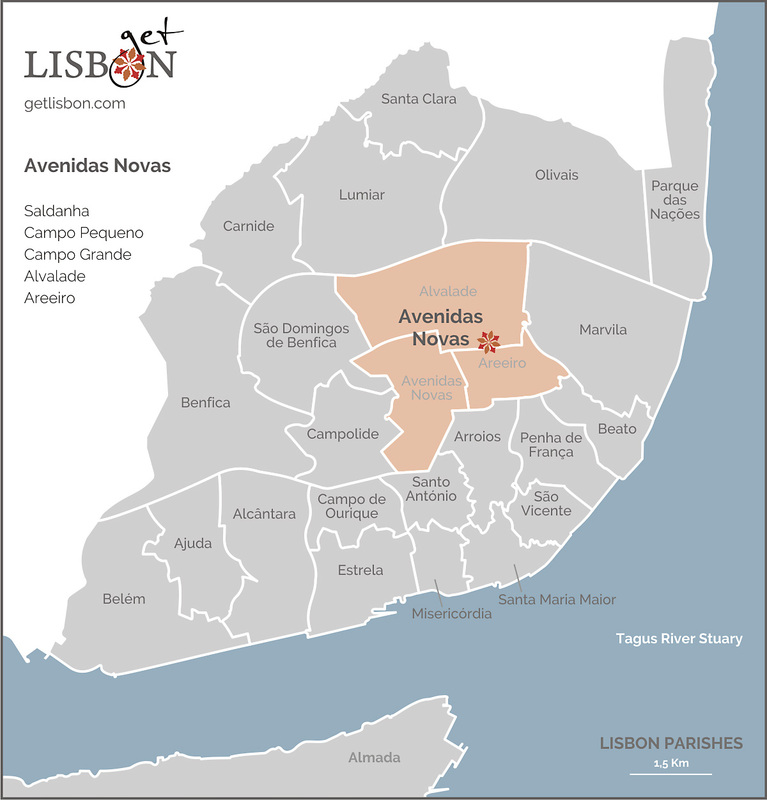 The area Avenidas Novas, traced by us, comprises three parishes of the city of Lisbon (Avenidas Novas, Areeiro and Alvalade) that correspond to two distinct expansion and development phases. The area around the axis Avenida Fontes Pereira de Melo and Avenida da República corresponds to the first phase of growth of the city after the opening of Avenida da Liberdade. To know more about this subject, we recommend our article Baixa/Liberdade. This expansion of the end of the 19th century and the early 20th century was characterised by an occupation of middle and upper social classes, distributed by rented buildings and detached houses of eclectic taste. Many Valmor prizes (Valmor Prize – established in 1898 according to the testament left by the 2nd Viscount of Valmor to reward the architectural quality of the new buildings built in the city of Lisbon) stood out in this area, some unfortunately already missing, strangled by the real estate pressure. Today, it is a pleasant residential area, wooded, marked by squares, commerce and terraces, recently rehabilitated. A second expansion took place in the 1940’s and 1950’s in full Estado Novo regime (nationalist corporatist authoritarian regime installed in Portugal from 1933 to 1974). It was a time of a modernity contained by a traditionalist, monumental, austere taste, reflecting a dictatorial regime closed to the world. 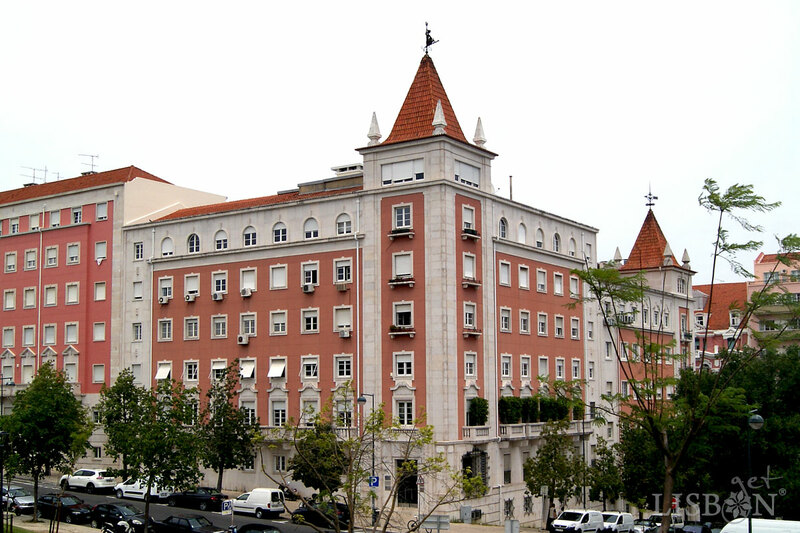 In this style, ironically dubbed Português Suave (soft portuguese), many public buildings were constructed all over the country, such as courts, municipal councils, schools, public institutes. 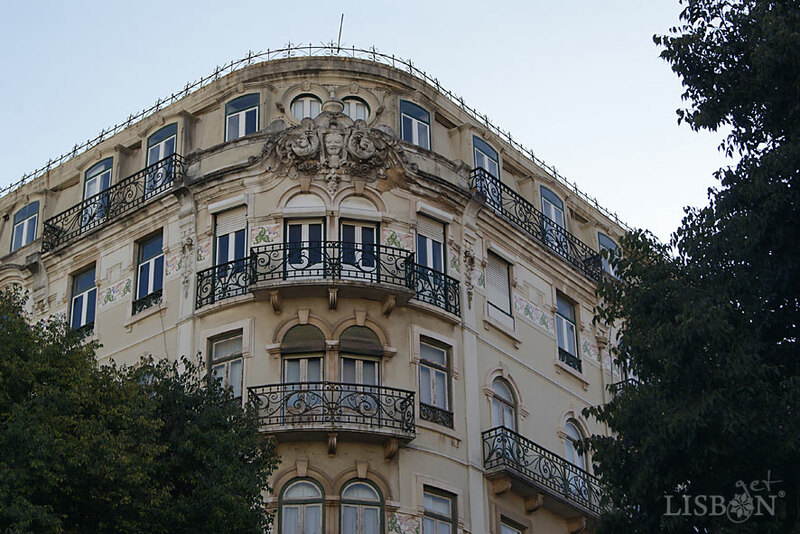 In Lisbon, stand out the residential buildings of Parque Eduardo VII, of Bairro Azul and of Bairro do Areeiro. Alvalade corresponds to the same development phase, but was used as an answer to the need of housing for a larger population. Today, it has become a noble area of the city, with a strong commercial dynamic. As we enter the area of Avenidas Novas, we are gradually moving away from the historic centre and invading the space of rural farms and palaces. The survivors were blended with the urban network, becoming testimonies of other times. These and other relevant heritages are what we’d like to share with our readers.